Amsterdam has age-old ties with Belgium, known as the Southern Netherlands until 1830. After the fall of Antwerp in 1585 – when this city was ruled by Spain – many citizens from the Southern Netherlands fled to the free north. 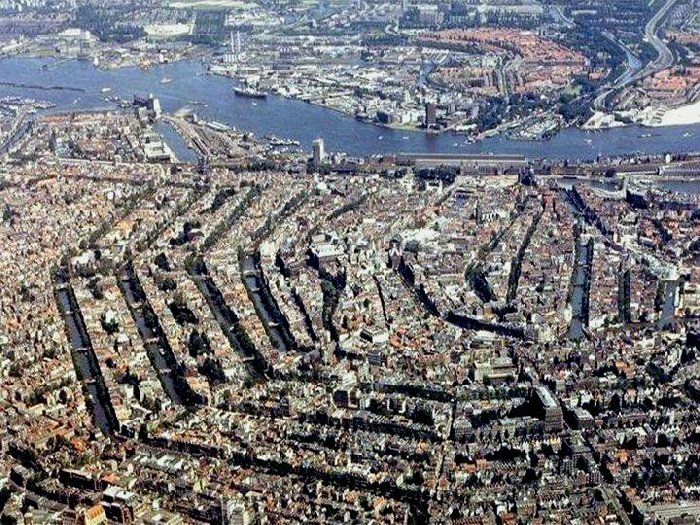 Amsterdam was popular among them, because it rapidly developed into an important merchant city. The tradesmen of the Southern Netherlands, who were often rich and had a wealth of experience, were more than welcome here. Amsterdam’s prosperity in the 17th century (the Golden Age) can be attributed to the fall of Antwerp and the immigrants from the Southern Netherlands to a large extent. Amsterdam is still very popular with visitors from Belgium. Important merchants, originally from Belgium, used to live on the Dam Square in the 16th and 17th centuries. For instance the family of cartographers and bookstore keepers Hondius. Jodocus Hondius (1563-1612) was born as Joos D’Hondt in the town of Wakken, in West-Flanders. After a stay in London he came to Amsterdam in 1593 and opened his shop ‘De Wackere Hondt’ (The Awake Dog) in the Kalverstraat. The tablet with inscription and depiction of a dog still remains on the façade of clothing store Peek & Cloppenburg at Dam Square. Together with his brother in law Petrus Kaerius and his friend Petrus Plancius (1552-1622) from the West-Flemish town of Dranouter, he turned Amsterdam into the centre of the map making and atlas industry. In fact, Plancius was not only a renowned Calvinist minister, but also played an important role as geographer and navigation expert. He was one of the most important advisers of the ‘Compagnie van Verre’ during their preparations for the navigation of the first Dutch voyages to the East Indies and China. He was also involved in the voyages of his student Willem Barentsz, who would become famous later. The Royal Palace on Dam Square, designed by architect Jacob van Campen, was built between 1648 and 1655 and was to be the new city hall. It symbolizes the enormous power Amsterdam had in those days. Artus Quellien (1609-1668) from Antwerp was asked to create the sculptures for both the interior and exterior. At the time, Quellien was the most esteemed sculptor north of the Alpes. His name has been immortalised in the Quellinstraat in Antwerp and the Quellijnstraat in Amsterdam. In his time, architect Philips Vingboons (1607-1678) was one of Amsterdam’s most important master builders. The son of Belgian painter David Vingboons from the town of Mechelen, he himself was born in Amsterdam. His houses in classicist style still adorn the canals, such as the Cromhouthuizen at Herengracht 364-370 (1660-1662), Odeon at Het Singel 460 (1662), Huis Bambeeck at Kloveniersburgwal 77 (1650) and the ‘Poppenhuis’ at Kloveniersburgwal 95 (1642). Owner Joan Poppen was the wealthiest man in Amsterdam at the time. Directly behind Amsterdam Zoo Artis are the former bonded warehouses: the Entrepotdok. It was built between1827-1839 and comprised a total of 98 warehouses: the longest row of warehouses in Europe. They were named after Dutch and Belgian cities. In alphabetical order, From West to East the names of nine Belgian cities are: Cortrijk, Dinant, Diest, Ghent, Leuven, Luik, Mechelen, Namur, Ostend. It is not at all strange that Belgian names are also included in the names, seeing that both countries were united in one kingdom during a time in which the capital would alternate between Brussels and Amsterdam. During a major renovation from 1980-1985, the warehouses were converted into apartments with various shops, restaurants and other companies on the ground floor. The façade of Amsterdam’s Central Station is adorned with the coats of arms of fifteen European cities, each depicted on colourful enamelled tiles of about 1 x 1 metre wide. Between Paris and London you will find Brussels and Antwerp. The coats of arms are all part of the lavish decorations of the station that opened in 1889, which was considered to be a ‘triumphal arch of transport’ at the time. The Mechelen artist Louis Royer (1793-1863) sculpted two statues of famous Amsterdam artists. Since 1852, the statue of Rembrandt has been on the square, named after him. To Belgians, the fact that the people of Amsterdam considered bronze to be too expensive back then will be seen as typical Dutch stinginess; the cast-iron statue has a coat of bronze-coloured paint. The statue of the 17th century poet and playwright Joost van den Vondel is, however, a true bronze. This statue by Louis Royer has adorned the Vondelpark since 1867. Since 1841, Waterlooplein has been the location for the famous Mozes and Aäronkerk, designed by architect Tieleman Franciscus Suys (1783-1861) from Ostend. The church, build in neo-classicist style is a prominent landmark on this popular square. The interior, including the altar has stood the test of time beautifully. Suys also rebuilt the Ronde Lutherse Kerk at the Singel. Since 1981, Flemish Arts Centre De Brakke Grond has been located at Nes 43. It aims to promote the Flemish cultural identity in the Netherlands. There are regular exhibitions, concerts and performances, and not just by Flemish artists. It also has a café-restaurant that serves predominantly Flemish dishes. On the terrace the Flemish beer is popular among the people in Amsterdam. Its name ‘de Brakke Grond’ refers to the boggy area that it once was. In Amsterdam several buildings by Belgian architects can be admired, for instance by Bob van Reeth of the Antwerp firm AWG. He used to be the supervisor of the Zuidas with the objective to make this a prime European location for international companies. Luxury apartment building Detroit at the Veemkade (2008) and a number of residential buildings on the Java island have also been designed by him. A striking apartment building on the KNSM island is Barcelona from 1993. It was designed by Belgian architect Bruno Albert. The gateway, of colossal proportions, was designed by Antwerp artist Narcisse Tordoir (1954). It consists of 48 square pieces of artwork that look like widows with the curtains pulled to the side, behind which shapes can be seen, such as noses, faces, flowers or a pipe. Java island, east of Amsterdam Central Station, is divided by four narrow canals. The separate parts of the island can be reached across nine bridges for cyclists and pedestrians. They each have their own style and imagery. They were designed by Belgian artist couple Guy Rombouts and Monika Droste in 1994. Java island is part of what used to be the Oostelijk Havengebied, the eastern docklands. From 1990 it has been developed as a residential area with unique architecture. It is now considered to be one of the most attractive places to live. For over twenty years, Belgian restaurant Live has been located at the Herengracht with its signature lavish hospitality. 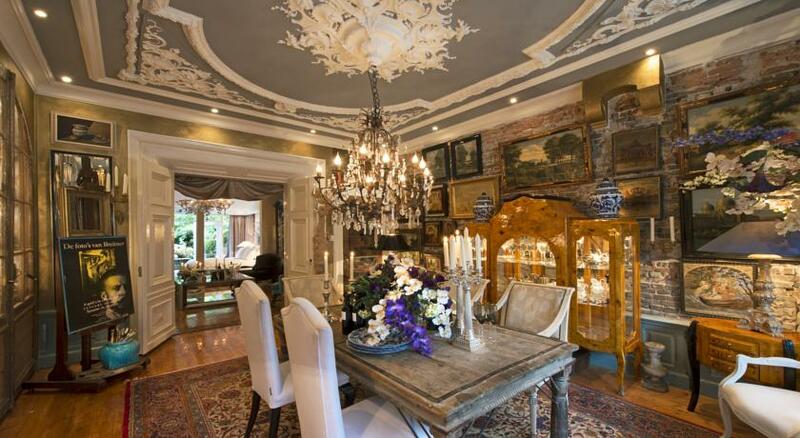 There are three ways of dining to choose from: gastronomic, baroque or living room style. 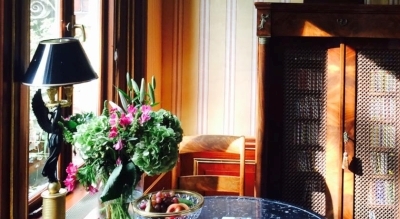 Park Mansion Centre offers a luxurious apartment with opulent period-style décor and free Wi-Fi, overlooking Vondelpark and 5 minutes’ walk from Leidseplein. Upon arrival the kitchenette includes free wines and food. The Park Mansion apartment has a spacious living room featuring a chandelier, parquet floors and an open fireplace. The lounge also includes a flat-screen satellite TV with a DVD player and a French balcony with park views. The kitchenette features a sink, small hob and microwave. A quooker boiling water tap and a Nespresso coffee machine are also provided. 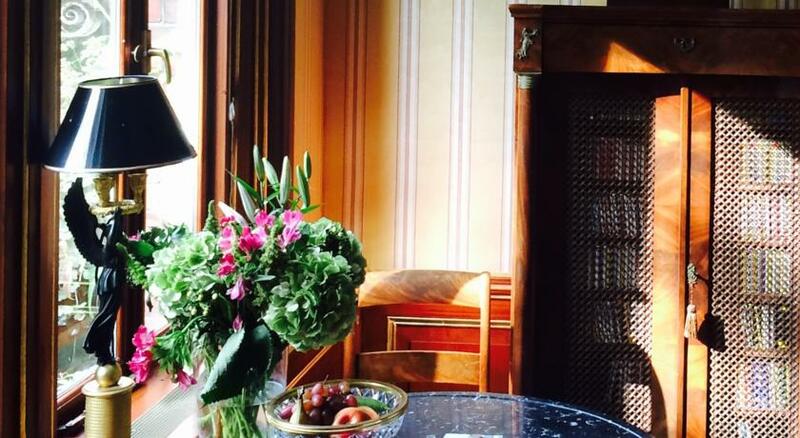 Park Mansion benefits from personal service from the host and unique touches such as orchids and candles. The Rijksmuseum and the Van Gogh Museum are a 5-minute walk away. 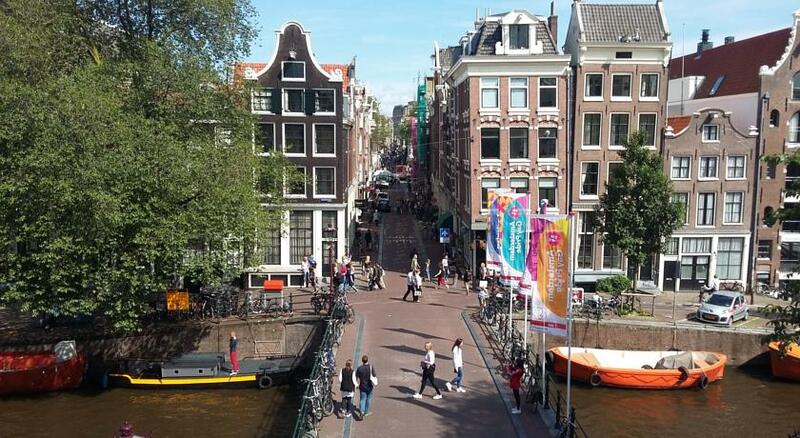 The Amsterdam’s upscale shopping street of P.C. Hooftstraat is less than 200 m from the apartment. Garden Suite-This modern loft-style apartment with free WiFi benefits from a roof terrace, fresh flowers plus free food and wines. Garden Suite Centre overlooks the garden and is only 5 minutes’ walk from Leidseplein. This designer apartment features a spacious lounge with a cosy open fireplace, unique high ceiling and elegant décor. The Garden Suite includes 1 bedroom with a double bed. The penthouse also includes a flat-screen cable TV with DVD player and a fully-equipped kitchen with a dishwasher. The Garden Suite is air conditioned and includes a contemporary bathroom with a large bath and heated towel rail. Luxurious toiletries, bathrobes and slippers are also provided. The highly attentive service at the apartment includes personal recommendations for sightseeing. 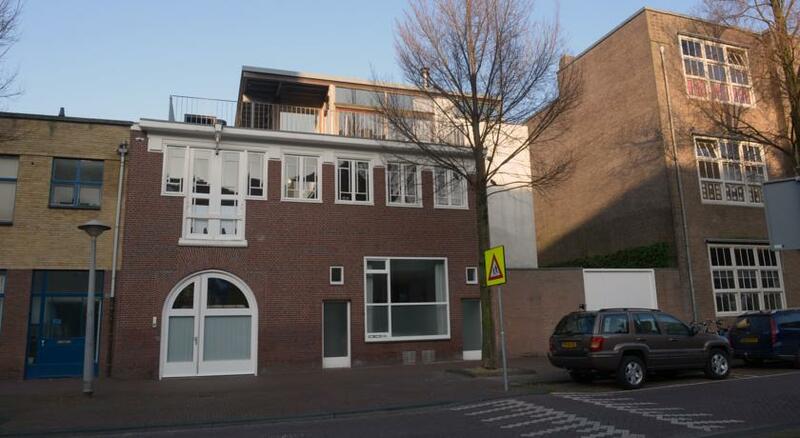 P.C Hoofdstraat is 200 m from the apartment. The Museum Quarter, featuring the Van Gogh Museum and Rijksmuseum, is less than 10 minutes’ walk away. Oud Zuid is a great choice for travellers interested in museums, cycling and culture. Stay in the real heart of the city - this is our guests' favourite part of Amsterdam, according to independent reviews. This area is also great for shopping, with popular brands nearby: Apple, Cartier, Tiffany & Co, Hermès, Ralph Lauren. 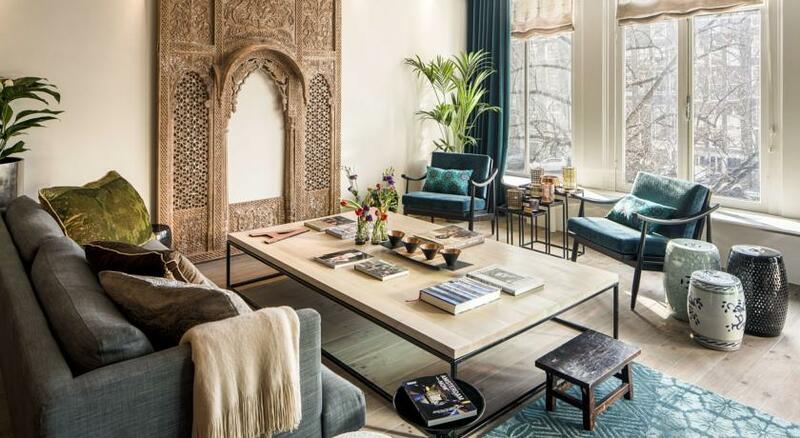 Museum Quater Penthouse - Located 400 m from Museum Square in Amsterdam, this apartment features a terrace. 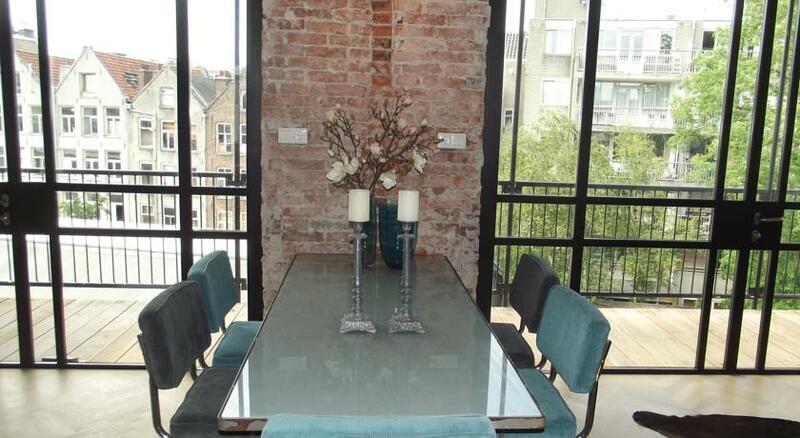 The property boasts views of the city and is 600 m from Van Gogh Museum. Free WiFi is available throughout the property. The kitchen has a dishwasher and an oven. Towels and bed linen are featured at Museum Quarter Penthouse. There is a private bathroom with a bath. Rijksmuseum is 900 m from Museum Quarter Penthouse, while Heineken Experience is 1 km away. The nearest airport is Schiphol Airport, 9 km from Museum Quarter Penthouse. 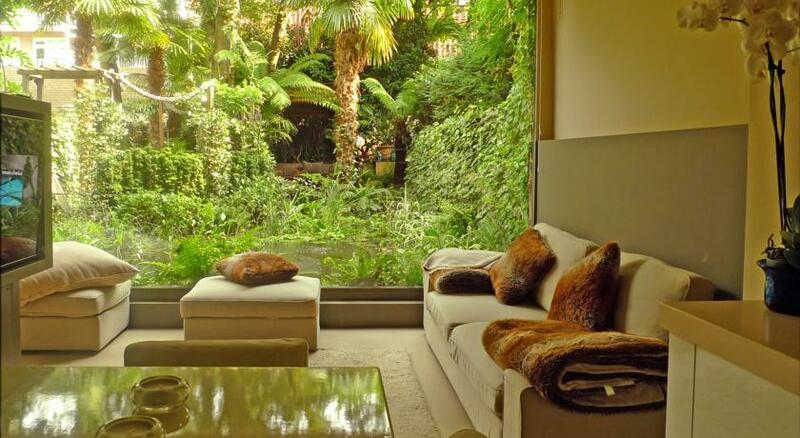 Breitner House is set in a characteristic Amsterdam townhouse overlooking the Oosterpark. It offers 2 large, classically decorated suites with modern features such as a flat-screen TV and iPod docking station. Both rooms have the atmosphere of the 1800s with authentic ornaments, big Italian chandeliers and antique furnishings. They have luxurious bathrooms with a bath tub and free toiletries. Every morning, Breitner House serves an extensive breakfast including champagne in the classic dining room with views of the park. Several restaurants are available in the direct area for dinner. Amsterdam’s famous Museum Quarter including the Rijksmuseum and Van Gogh Museum is 15 minutes away by public transport. The Artis Zoo is 500 m away. Oost is a great choice for travellers interested in cycling, architecture and city walks. Starry Night lies on Amsterdam’s historic city island of Uilenburg, 200 m from Waterlooplein. It offers a large, fully-equipped apartment with a private rooftop terrace that includes barbecue facilities. Guests can make use of a modern kitchen including a gas stove, dishwasher and a tea/coffee maker. There is also a dining area with all the necessary kitchenware provided. The open-plan living room has a seating area set up around the TV which features cable channels and a DVD player. The bedroom has 2 extra-large single beds and a private bathroom with free toiletries. From the Starry Night Apartment, it is 200 m to the famous Rembrandt House Museum. The Waterlooplein metro/tram stop offers easy connections to Schiphol Airport and Amsterdam Central Station. Amsterdam City Centre is a great choice for travellers interested in food, nightlife and walking. KeizersgrachtSuite471 is a self-catering accommodation located in Amsterdam and offers view over the famous canals. Free WiFi access is available. 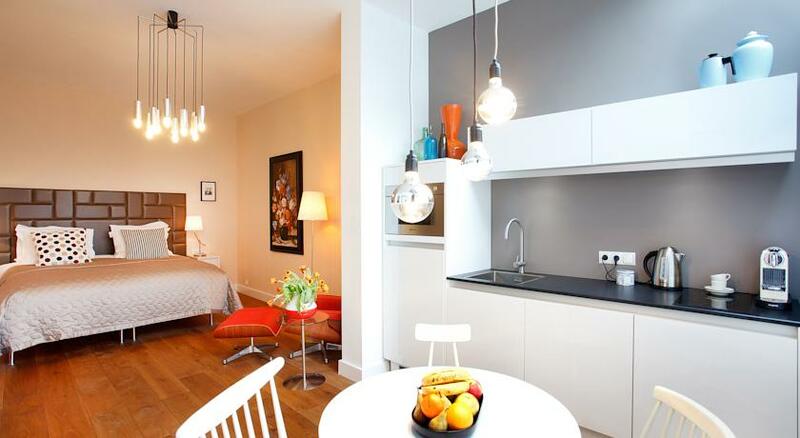 The property is 450 m from Leidseplein and 280 m from the Flower Market. This accommodation will provide you with a flat-screen TV, a minibar and an iPod dock. There is a fully-equipped kitchen with a dishwasher and a microwave. The private bathroom comes with a shower and a hairdryer. You can enjoy city view. If you feel like visiting the surroundings, check out Rembrandtplein (800 m) and the Rijksmuseum (750 m). Schiphol Airport is located 14.5 km away. Petit Prince is located 300 m from the Anne Frank House and a 10-minute walk away from Dam Square. The Westermarkt tram stop offers direct access to Amsterdam Central Station and is a 2-minute walk away. Blue Tulip Amsterdam is located in Amsterdam at the opposite of Rijksmuseum and its neighbouring Van Gogh Museum. Leidseplein and the Heineken brewery are within short walking distance. This studio features a private entrance and offers free Wi-Fi access. It comes with a balcony, flat-screen TV and a private bathroom fitted with a walk-in shower. It also has a fully equipped kitchen including a microwave and refrigerator. Coffee, tea, soft drinks and fresh fruits are provided. Albert Cuypmarket can be found within 500 m and there are several restaurants/cafés in the direct surrounding of Blue Tulip Amsterdam. The bed and breakfast is 2.1 km from Amsterdam Central Station, 1.4 km from Dam Square and 1 km from Rembrandtplein. Schiphol Airport is 10 km away. Suite 1888 is a luxurious bed and breakfast on the ground floor of a 19th-century townhouse, located only 100 m from Amsterdam's Oosterpark and 15 minutes by tram from the city centre. 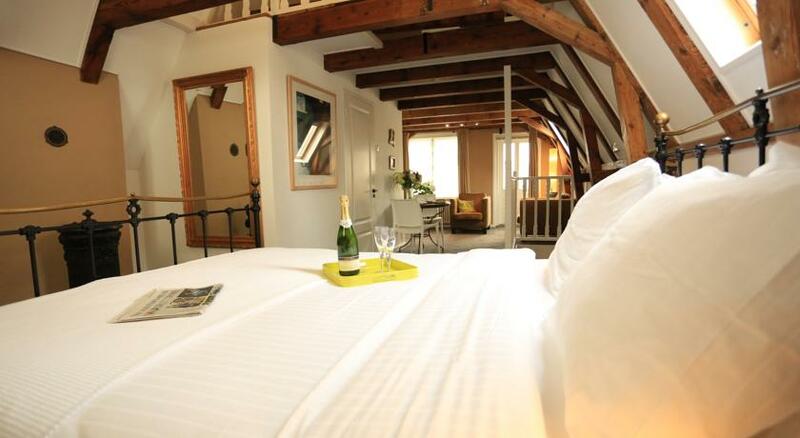 With two large en-suite rooms, a private terrace and free WiFi. The elegant room has its original features such as high ceilings and ornaments, a flowery wall painting and a large chandelier. There is a private bathroom with bathtub and rain shower, a flat-screen TV and a minibar with complimentary drinks. Every morning breakfast is offered in your room. It consists of fresh rolls, orange juice and fruit. The Linneausstraat, is right around the corner of Suite 1888. There you will find a wide variety of cafes and restaurants. From the Wijtenbachstraat tram stop, all the city sights can be reached by public transport within 15 minutes: Dam Square, Rembrandtplein, Leidseplein and the Museum Quarter, including the Rijksmuseum, the Van Gogh Museum and the Concert Hall. The Frederik Park House is a small, well appointed and friendly boutique-style hotel situated in a quiet part of old Amsterdam, facing a park. It's ideally located within easy reach of all facilities and the attractions of the old city and beyond, being well served by public transport. It has a roof terrace. All the non-smoking guestrooms are stylish decorated, have large comfortable English style double beds, a sitting area with television, ensuite bathrooms with shower- and toilet facilities, fresh cut flowers and a view over a park. A delicious Dutch breakfast is brought to the door every morning. There is a wide variety of restaurants and traditional Dutch bars literally round the corner. 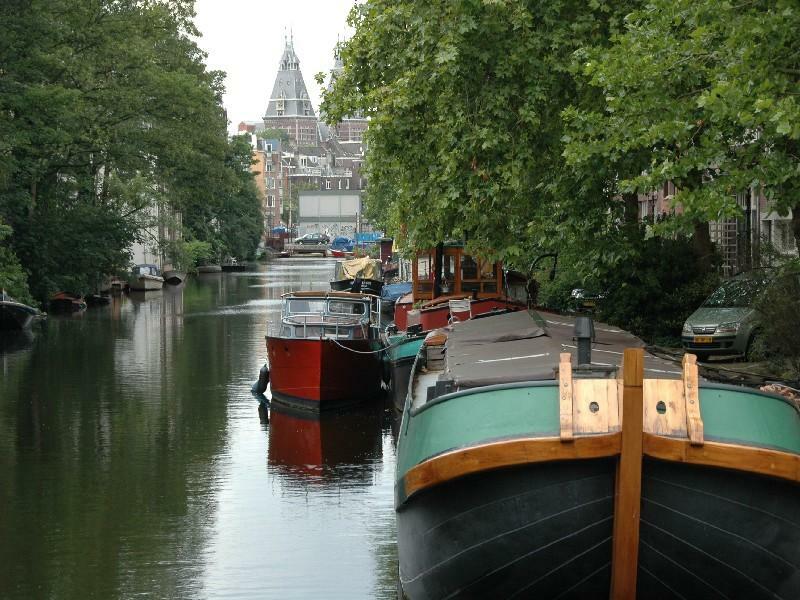 Amsterdam City Centre is a great choice for travellers interested in food, nightlife and walking.